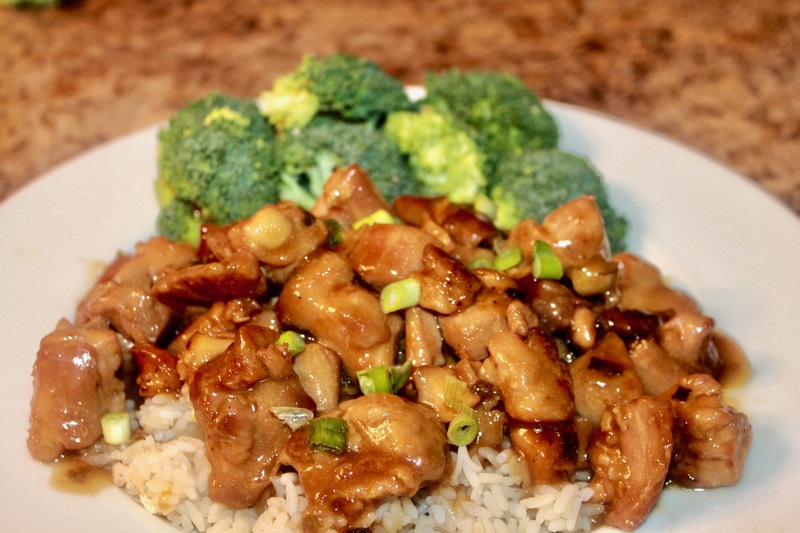 I wanted to share with y’all, a quick and simple teriyaki chicken recipe that you and your family will love. In my last post, I shared a delicious and easy cinnamon roll recipe. If you missed it, you can read about it here. In the South we love our sweet treats, but we also love a good savory dish as well. 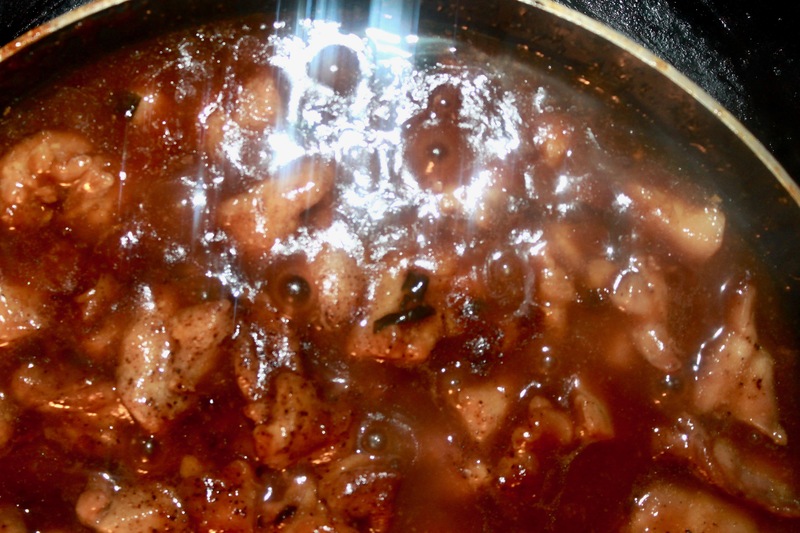 Jennifer and I love teriyaki chicken, so in this post I’m going to share this quick and easy recipe. It’s not only easy, but it’s so good it will have you going back for seconds and maybe even thirds. Teriyaki Chicken, is a traditional Japanese dish that is healthy as well as delicious. I usually serve my teriyaki chicken over white rice, but if you want a healthier option you can substitute brown rice or quinoa. 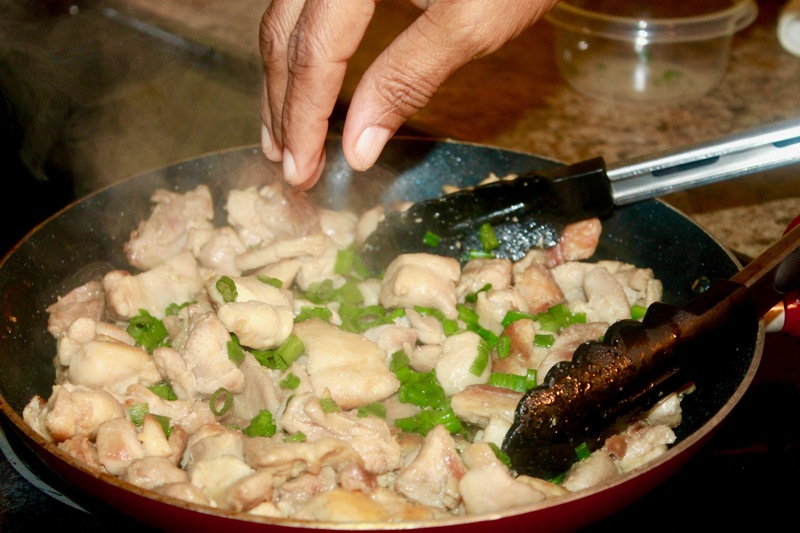 Keep reading for this quick teriyaki chicken recipe, and the mouthwatering dish. Before we can get started we always have to make sure, that we have our complete list of ingredients. -2 cups of broccoli florets, I prefer my broccoli raw, because I like the crunch. However, please feel free to steam it and add it to your dish. What’s the Best Type of Chicken to Use? The type of chicken that you use is very, very important I found that chicken thighs are the better option for this dish. I know chicken breasts are often the favorite part of the chicken, but chicken thighs are under appreciated. 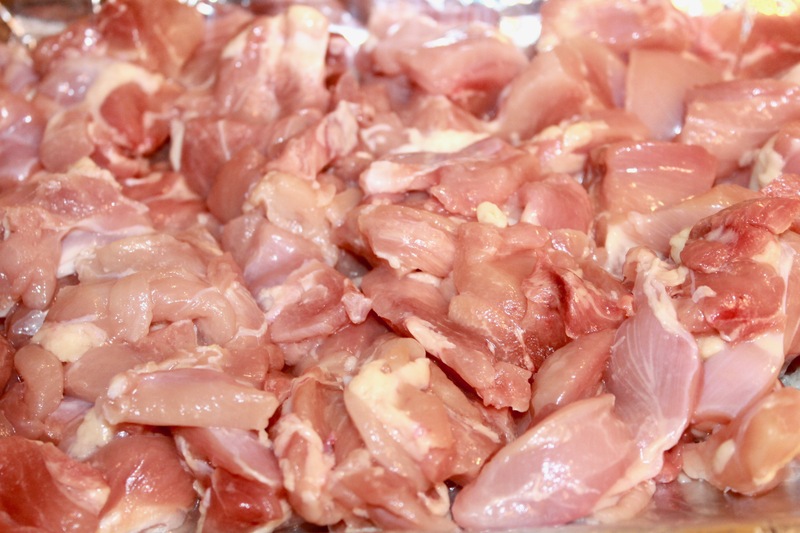 Chicken thighs are more flavorful, succulent, and often meatier than breasts. 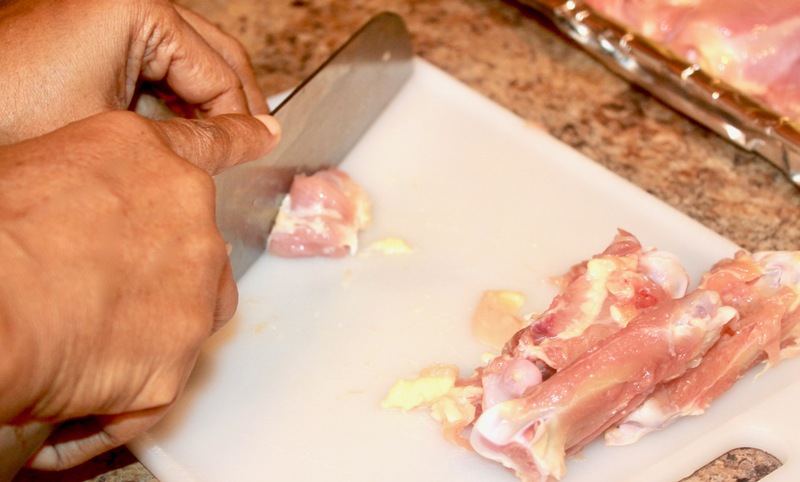 Chicken thighs can also withstand any type of cooking, unlike breasts which can easily be overcooked, toughen up, and quickly dry out. I know that there is a lot of debate going on about washing your chicken or not washing your chicken. I always wash my chicken, I guess it’s just a southern thing. After you wash and clean your thighs, you will remove the skin. Then, you will cut your thighs into chunks. Now that our thighs are clean and cut we need to sauté our chicken. You will need to pour 1 tablespoon of vegetable oil, in a large pan over medium heat. 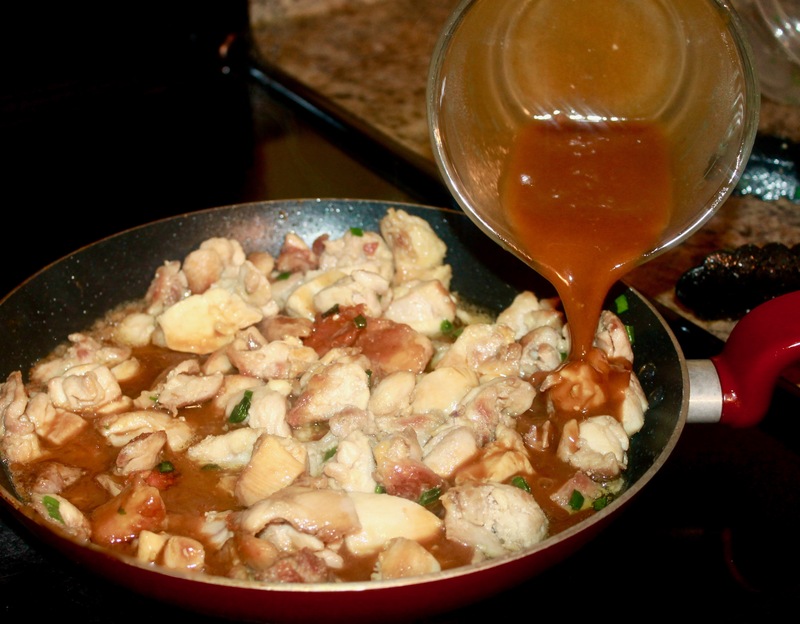 Once your oil is warm enough you will begin to place your chunks of chicken thighs into the oil. As you’re waiting for your oil to warm up, you can began to chop up your 1/2 cup of green onion stem. We sauté our chicken, so that it becomes lightly brown and crispy, while still preserving its texture, moisture, and flavor. As the chicken is sautéing, I began to add the 1/2 cup of chopped green onion stem. 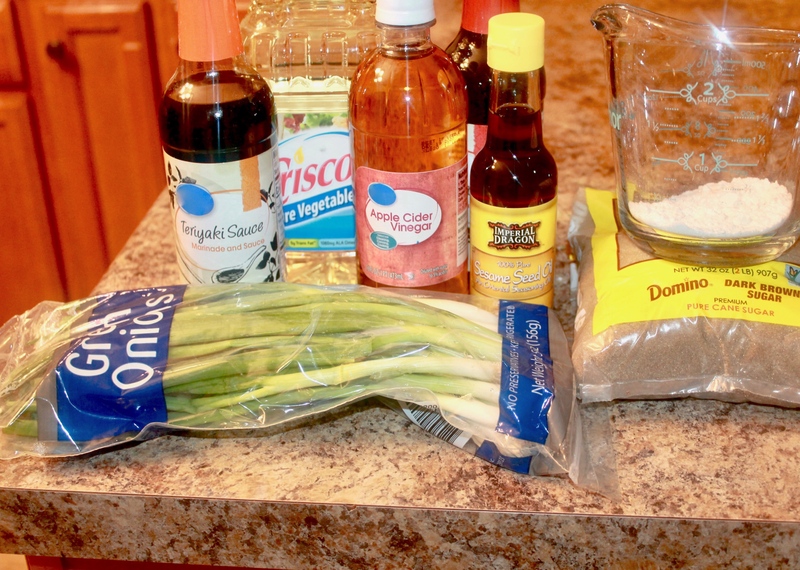 While your chicken is sautéing you can begin to make your teriyaki sauce for your recipe. In a small bowl or in a measuring cup, you will begin to mix your ingredients. Begin with 1 teaspoon of cornstarch or flour, mixed with 2 teaspoons water for thickening. 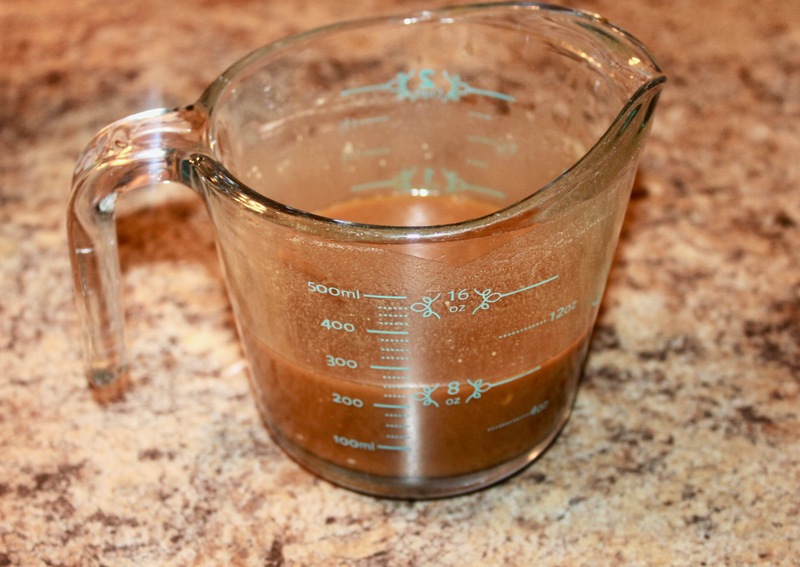 Then add 1/4 cup of low-sodium soy sauce, 1/4 cup of Teriyaki sauce, 3 tablespoons of light brown sugar, 1 tablespoon of Apple Cider vinegar or white vinegar, and 1 tablespoon of Sesame oil. 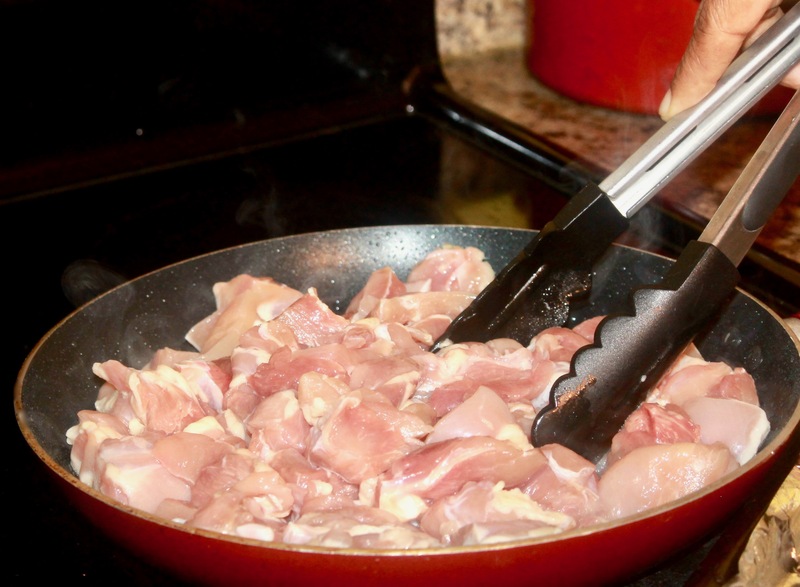 Once you’ve poured in your teriyaki sauce, allow your chicken to simmer on low heat for about 10 minutes. As I stated earlier, I like to serve my Teriyaki chicken over white rice, but you can substitute brown rice or quinoa and your dish will be just as delicious. 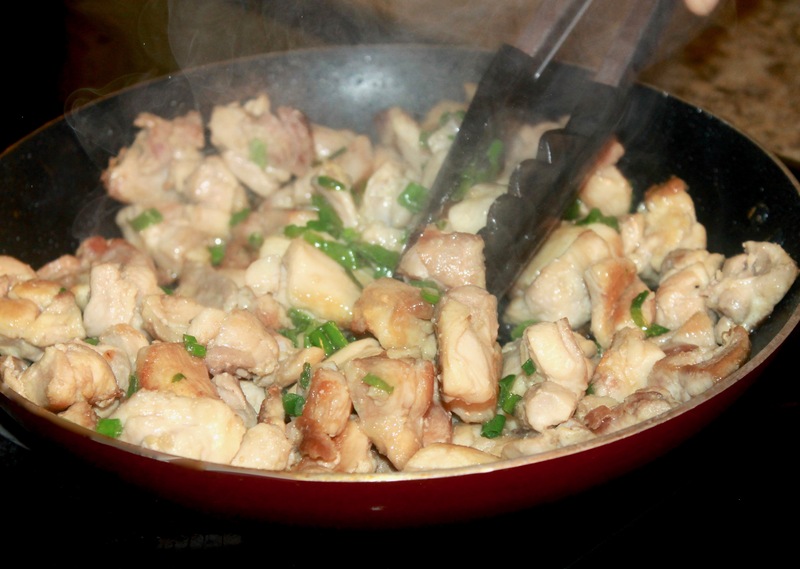 The remaining green onions can be used as garnish over your chicken. As a side dish you can add broccoli or mixed vegetables. I hope you enjoyed this post, this is the perfect meal because it’s quick, simply, and amazing. It will quickly become a favorite for you and your loved ones. One more thing about this dish, it freezes quite well so if you make too much. You can put it away and save it for another time. 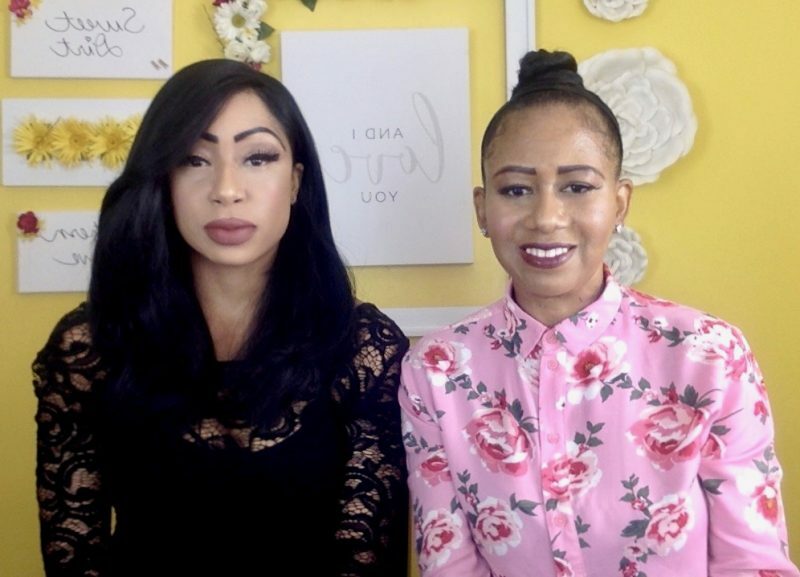 Feel free to let us know what you think in the comments section. Wow, this is amazing. This is probably one of the best Teriyaki chicken recipes I’ve seen. I think most of them come out dry and bland. This looks and sounds delicious. I was wondering what to cook tonight and I have some chicken breasts int the freezer, so I may have to give this recipe a try. Thank you so much! It’s such a easy and quick recipe as well! I hope you enjoy it, have a wonderful day! 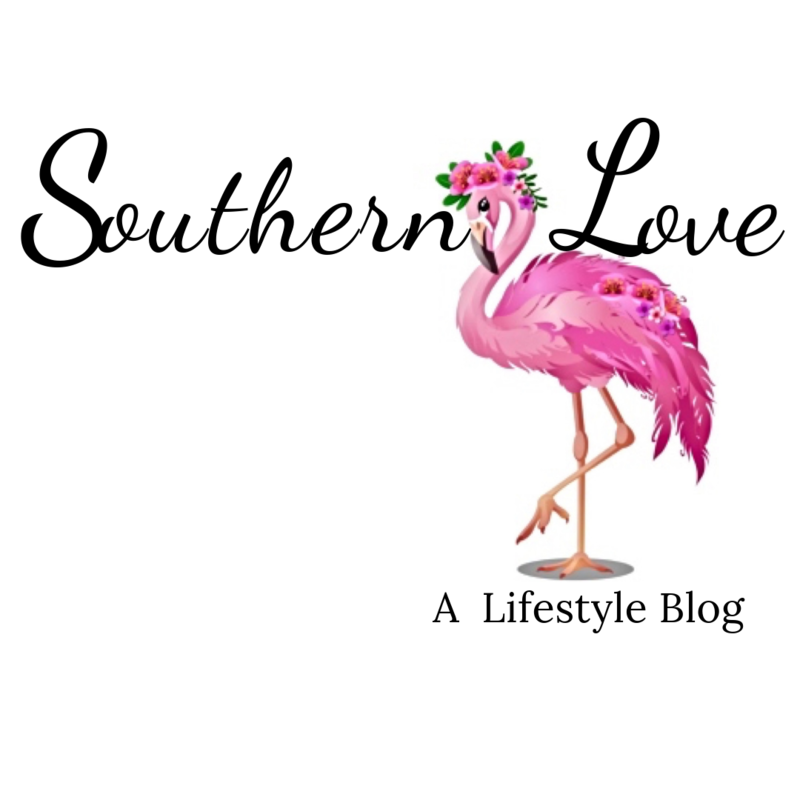 I’ll have to share this with my husband – all he eats is chicken! Well then I hope y’all enjoy this recipe! It’s so delicious and incredible easy! Thank you for stopping by and I hope you have a great day! This recipe looks so good! Chicken teriyaki is one of my husband’s favorites for take-out. I’ve never tried to make it at home. Thank you so much! It’s a really delicious recipe, and it’s super easy to make as well! I hope you have a wonderful day! 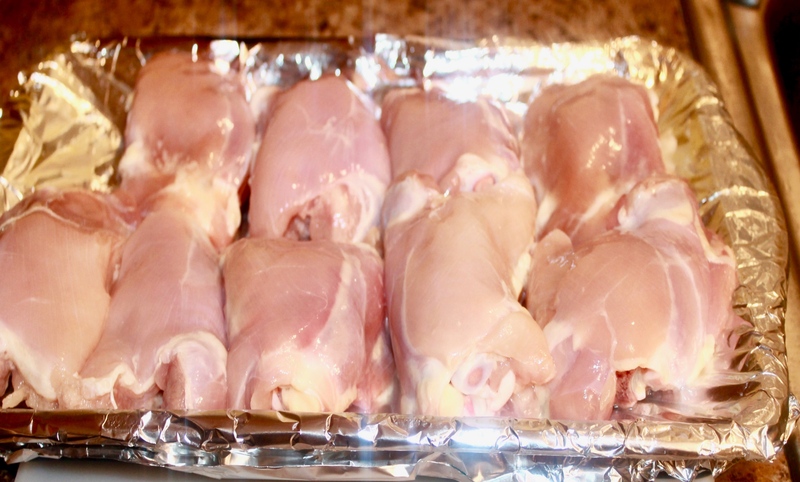 Looks very delicious, I’m panning to cook chicken for dinner today and after reading your amazing recipe I’ll give it a try. Thanks for sharing.. Thank you so much! It’s really good and it’s very easy to make! I hope you enjoy the recipe, thank you for stopping by! Hope you have a lovely day! Well I know what’s for dinner! It’s a delicious and easy recipe! Thank you for stopping by, I hope you enjoy it! Have a great day! I love to substitute white rice with quinoa to change things up sometimes! Changing things up sometimes can completely transform a dish! Thank you for stopping by, I hope you have a wonderful day! Thank you so much! If you make this recipe, let me know how it turns out! I would love to know, I hope you have a wonderful day! This is a great post. Looks amazing, I will definitely bring it up at the next family gathering! Thanks for sharing. Thank you so much! It’s a really delicious dish, and it’s super easy to make! I hope y’all enjoy it, thank you for stopping by! Have a wonderful day! Simple recipes are the best! Oh and this looks so good! I’d love to make it! They certainly are! This recipe is so easy and delicious! Thank you for stopping by, I hope you have a great day!